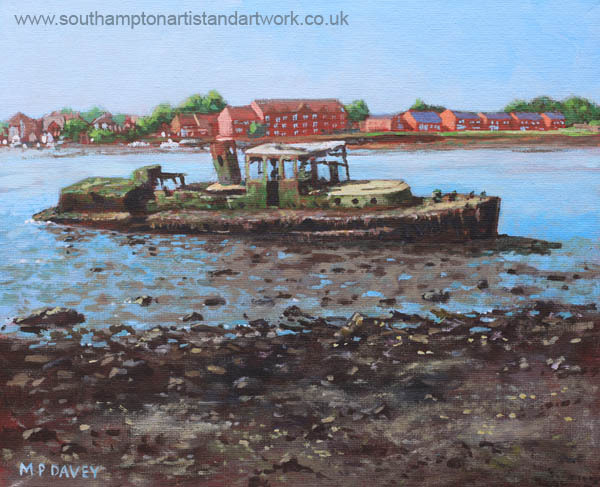 This wreck of an unknown boat was painted during May 2014, on a canvas board sized at 10” x 12” in acrylics. It is on the River Itchen that runs through Southampton and is here on the bank located at Bitterne Manor Park, on the outskirts of the City. St Denys can be seen on the opposite side of the River.